We are pleased to announce that the YoTricks.com iPhone application will be hitting the iOS app store on January 25th. The app is meant to combine the great videos on YoTricks.com with the elegance and portability of the iPhone and the iPod Touch. When we launched YoTrick.com just over a year ago we anticipated the launch of this app and designed every video to be just as useful on the small screens of these devices as they are on your computer screen. 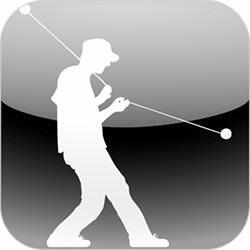 At launch the YoTricks.com app will have a basic but intuitive interface so users can quickly navigate through our yoyo videos and create a video favorites list of the tricks they are currently working on. In the future we hope to add more features as we get user feedback. The app will be free and ad supported at launch, but users can look forward to a paid version in the near future with more features and no ads. Tell your friends then download and rate the app on the 25th to help us spread the joy of yo to all the world.